during migration from Prestashop to Thirtybees the last part it failed. [Ajax / Server Error for action upgradeDb] textStatus: "error " errorThrown:" " jqXHR: "
but now the error was at the end again at the database upgrade, refresh the page did not help because it start at the login page and that stuck. so for me again migration to Thirtybee not an option again. These empty Ajax responses (no text behind errorThrown) are hard to reproduce and thus, hard to fix. My guess is, they're a result of PHP timeouts. Does the shop work after the migration? Being thrown to the login page is expected, a migration invalidates cookies. Just log in, same username/password. If the version shown in the upper left corner reads thirty bees, the migration went fine. You can look at the content of the returned Ajax call. When you have debug active that will contain somewhere in its text a php error. 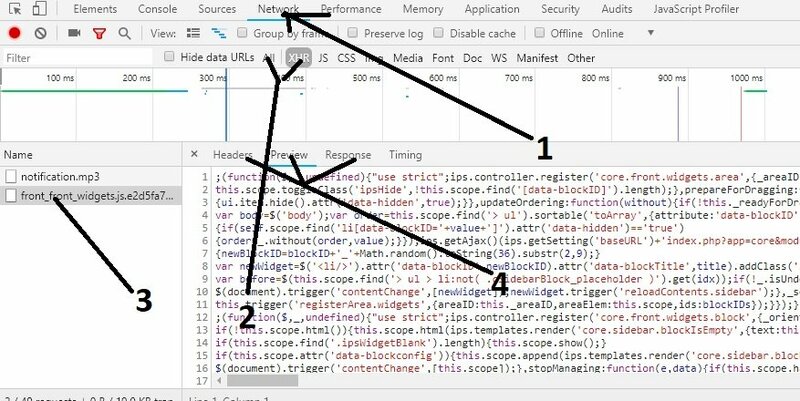 To do that go to the browser's console, chose Network, choose at the left side the Ajax call and then look at its content. See the attached picture.